Earlier this year, we had this fun idea of expanding on our iconic wall mural outside the studio — to bring that fun inside! 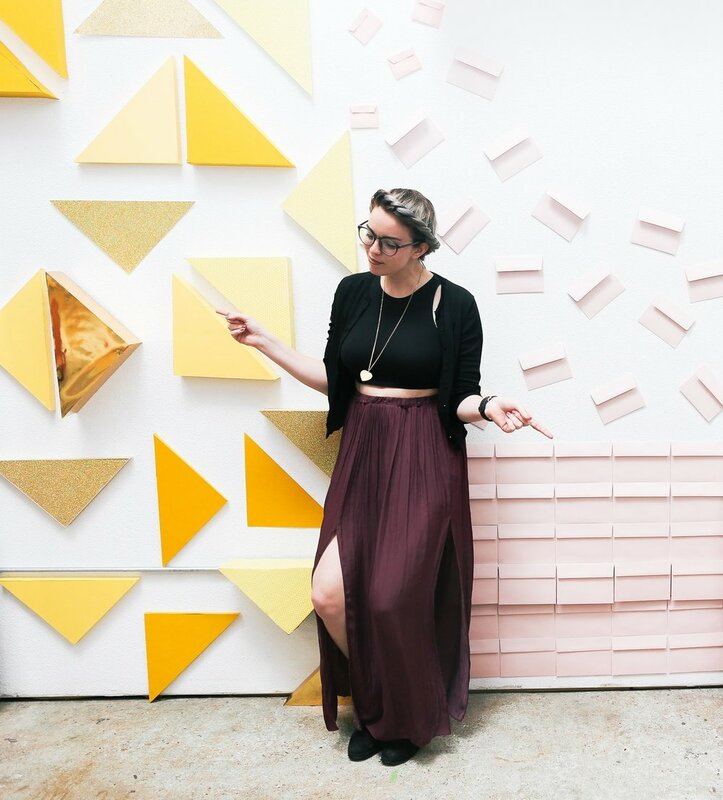 So we wrangled some of our favorite creative ladies in town and shared our vision for #thepaperwallproject. One of the last “unicorns” left in Austin - Denise is a born and raised Austinite. Staging & Interiors is what she wants to do when she grows up (check out her awesome business and online home goods store, Love Ding) and she tries to work towards and keep at her goals on a daily basis. She only writes on unlined paper and she drinks mimosas at night. Owner and founder of The Paper + Craft Pantry and self-declared paper hoarder/stationery aficionado since ’94, Pei has always had a bit of a paper problem. She still uses a paper planner and usually has about 7 notebooks at any given time within arms reach. Besides paper, Pei is also really passionate about French fries. A big fan of all things creative, she believes that making things is good for the soul. Rachel spends most of her time adventuring with her two rad little boys and cool husband, but also finds time to build custom art installations. She loves doo-wop music and Alfred Hitchcock and she realizes that this makes her sound like a grandma. If you missed the reveal party, don't worry! Stop by the studio anytime during business hours before the end of the month to get the chance to check out #thepaperwallproject. Don't forget to tag us in your photos for a chance to be featured on our Instagram!! Want to be the first to know about our community events? Sign up for our weekly newsletter and receive announcements about our events, new workshops, exclusive discounts and fun D.I.Y. projects from the blog! As always, we promise to respect your privacy.